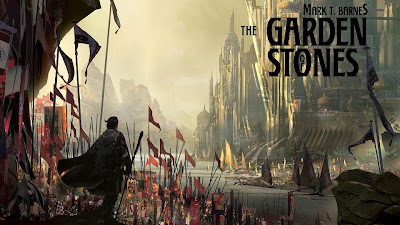 You can now download Mark T. Barnes' The Garden of Stones for 4.99$ here. When the Shrīanese Empire explodes into civil war, fighters of all kinds flock to the banners of their lords. Indris, a skilled swordsman and brilliant sorcerer, seeks to end the bloodshed once and for all. He knows this war is simply a ruse—a power play by a ruling Family desperate to take control of the Empire by any means necessary. Indris cares little for the politics except to see that justice is upheld. But even he can't see the terrible price his opponents are willing to pay to secure their legacy. A true epic, the first book in the Echoes of Empire series creates a spellbinding new world. 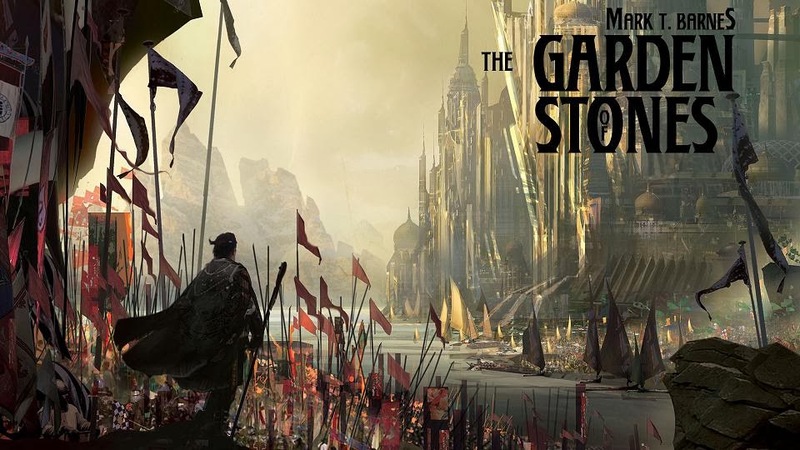 With its twisted politics, new races, compelling heroes and villains, and unique magic, The Garden of Stones is a lyrical fantasy on the grandest scale. 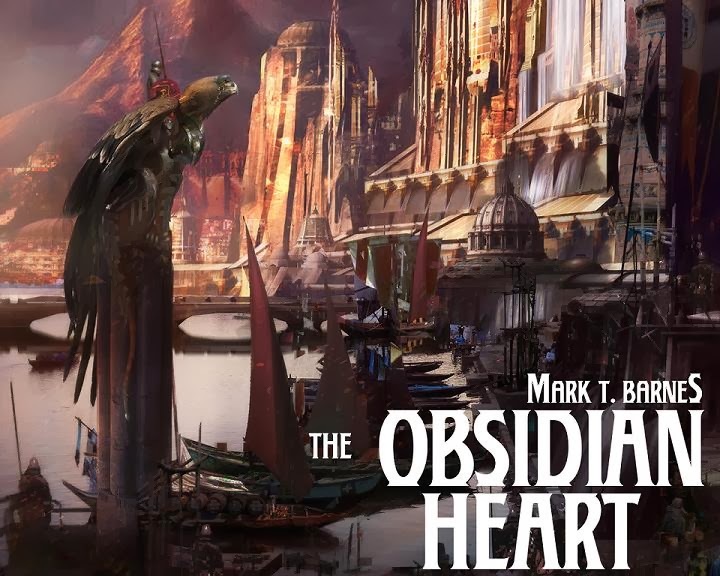 And you can also get your hands on the sequel, The Obsidian Heart, for the same price here. An uneasy peace has settled over the Shrīanese Empire, and for Indris and Mari, a life together just might be possible. But while the fighting may be over, the struggle between the two great Houses vying to rule has just begun, and caught between them are Indris and Mari—warriors of the highest caliber…and members of the opposing families. With the court moved to a new city, the old machinations of Mari’s father, Corajidin, are still churning as he maneuvers to shape the future Empire. For Mari and Indris, though, it could be the past that’s their undoing, as lost lovers and forgotten flames reappear as if by dark magic. And dark magic it could be, for a dangerous alliance with witches could not only grant Corajidn control of Shrīan, but once again plunge the nation back into war—especially after a sorcerous battle destroys much of the city…and forces Indris and Mari to part ways. 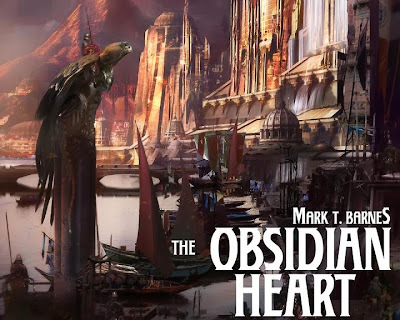 In The Obsidian Heart, the second volume of the Echoes of Empire series, darkness falls over a kingdom already reeling from a costly civil war. Can the Indris and Mari survive this new threat to save not only the ones they love, but possibly the entire world? I don't know his name but I recognize this artist's work every time I see it. He's very good, but by now his covers all kind of same-y, as if they're all for the same fantasy series. Does he do anything besides epic cityscapes with dramatic soldier poses?